There are some interesting birth practices around, but when I heard of lotus birth, I thought someone was pulling my leg. Turns out, people (and some animals) really do this. Lotus birth is the practice of keeping the placenta attached, in a bowl or wrapped in cloth, salted, sprinkled with lavender and other oils until it falls off naturally in about 3 days to a week. Some believe that because chimpanzees do it, humans should also not sever the umbilical cord leaving the placenta attached. Lotus births aren’t new. According to Wikipedia, there is record of lotus births in Bali and among the aboriginal !Kung people, early American pioneers and in the Hindu story of the birth of Vishnu. In the 21st Century, lotus births appear confined to a small number of parents, only in Westernised countries and mostly among home birthers. Among animals, chimps are alone in their lotus birthing practices, all other mammals quickly bite the umbilical cord to sever it and then eat the placenta so that predators will not sniff out their baby and eat it. 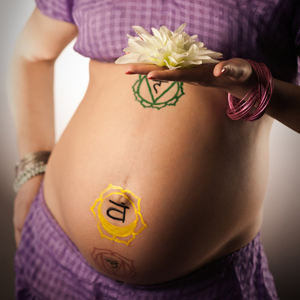 Some who choose an alternative lifestyle also believe in placenta eating. I haven’t found any debate on these two practices, which appear conflicting. Can you have a lotus birth, let the placenta turn into biltong and then eat it, or is placenta best cooked and eaten fresh? Are these two poles in the natural living community with heated debates over whether to have a lotus birth or eat the placenta? We’re mammals and we’re primates and I can see why this practice appeals to some but what are the benefits and drawbacks of a lotus birth? Part of it is the beliefs around delayed cord clamping and part of it is a belief in keeping the baby whole which ties in with some people’s spiritual beliefs. Delayed cord clamping in itself is controversial, some studies showing it decreases risk of anaemia if the cord is cut when it has stopped pulsing, but others showing it increases chances of anaemia, jaundice and blood clots. Jaundice beginning around the third day of life occurs in about half of all babies, however, if levels rise too high it can lead to serious complications, so it is monitored and treated if bilirubin levels reach a certain threshold. The main concern seems to be that the one side of the placenta is an open wound, and the placenta is essentially rotting flesh, which if not dried out and treated properly can decompose, smell and attract flies, and possibly lead to serious infection. Interestingly, supporters of lotus birth state that keeping the placenta attached reduces the likelihood of infection, however, the surface area of open wound is larger on the placenta than in a clamped and cut umbilical cord. Apparently lugging the placenta around with baby is not as difficult as it sounds so isn’t considered a drawback. It’s fascinating to see how others approach birth, but this is one practice I’m happy not to partake in. Would you ever consider a lotus birth? Send your stories and comments to chatback@parent24.com and we may publish them.